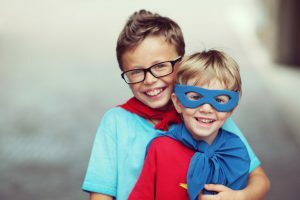 Home » News and Events » How to get your kids to love their glasses! Help them to find a frame they will love, and allow your child to have a say in the frame they choose to wear. Not only will you empower them, but you will get them excited to wear their new glasses. The first point to understand is that the new frames should fit comfortably. 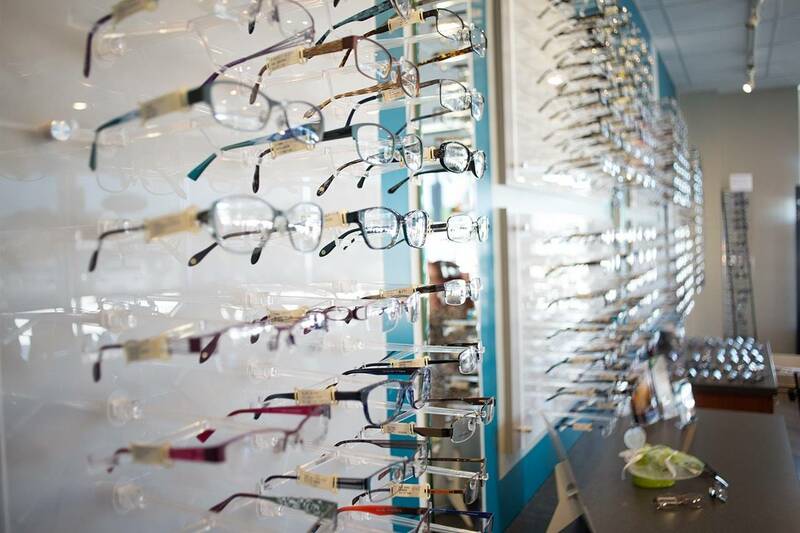 An Optical Assistant can help you find a frame in the right size that is appropriate for your child’s prescription. Begin slowly, especially if your child is a first-time eyeglass wearer. Have them choose a favourite activity or movie they love, then explain to them how much better they will see everything with their new glasses. Be persistent and consistent. If your child is too young to understand a voice of reason, incorporate their new glasses into their regular daily activities. Wearing their glasses should be as routine as buckling your child in a car seat, brushing his teeth or feeding and changing them. For a child old enough to understand, explain why it is important for them to wear their glasses. This may need to be repeated many times until it becomes a habit. Try not to get discouraged. Sunglasses are a great way to help a young child adjust to a new pair of prescription glasses. 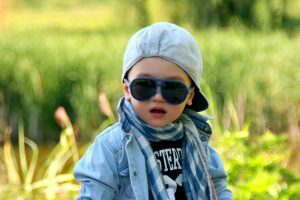 Introducing sunglasses to your child at a young age is an excellent opportunity to get a child accustomed to wearing glasses. Also, it is a great way to protect their eyes from UV rays (and what kid doesn’t look really cute in sunglasses?). Did you know that UV damage is cumulative, and almost 100% of UV damage to your eyes is done before the age of 18? If you notice, after several days, that your child is still resisting wearing their new glasses, ask them why they won’t wear them. It’s important to listen and take your child seriously. If they say their glasses are hurting their eyes or their vision isn’t sharp bring them back to your Optometrist office and an Optical Assistant will assess the concerns of your child. It could be as simple as a minor adjustment which will make all the difference in the world. Once your child notices that they can see everything clearly with their glasses you will notice less resistance to wearing them. Give your child positive reinforcement. If they put their glasses on without being asked, praise them. Little rewards go a long way too! Parents, give yourselves a pat on the back, you are doing a great job!